Children’s clothing and equipment specialist Vertbaudet has seen an increase in the amount of young parents ordering nursery and baby equipment online. With a new baby in the house, going out to shop for a push chair, car seats, feeding chair or any other needed baby supplies, is not an easy task. Vertbaudet.co.uk has a full range of nursery equipment available to order online, and new parents are starting to fully discover the benefits of getting the needed baby equipment delivered on their front door. Many of the most popular nursery products are only available from Vertbaudet in the UK. The award-winning children’s retailer has chosen only the best products for its website www.vertbaudet.co.uk, using its extensive expertise to ensure all equipment are safe, and finding the most creative solutions – fun for babies and parents alike. “Having a child is a wonderful adventure full of happiness and emotions, but it also turns parents’ lives upside down. That is why Vertbaudet is committed to helping parents every step of the way,” says Susanne Atkins-Krueger of Vertbaudet. One of the bestselling products on Vertbaudet.co.uk is the “BabyMoov Baby Booster Seat with Tray” (£23). Thanks to its adjustable and removable seat and tray it offers great freedom of use. “For bath time, the “BabySun Nursery Toy Storage Set” (£15) is a fun solution for storing all the bath time toys, and it can be easily moved inside or outside the bath – depending on who’s using it,” says Susanne Atkins-Krueger of Vertbaudet. 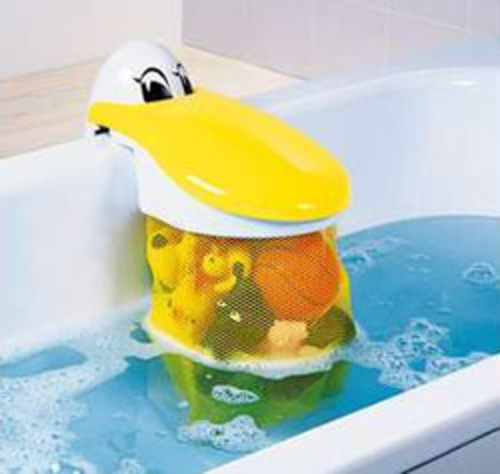 It’s also important to control the water temperature while giving your baby a bath – the “Beaba Waterlilly Bath Thermometer” does this and makes it fun for the baby. For parents on the move, Vertbaudet has several great options for making it a little easier. Baby car seats, baby carriers, weekend travel bags, child travel bed and many more essential items can be found on the website. For expecting mothers, there is even a special car seat belt guide that repositions the safety belt so it doesn’t press on the stomach (£33). Paediatrician recommended products can also be ordered online – the “BabyMoov Ergodoo baby support mat” is also very popular nursery equipment. Shopping with Vertbaudet is easy and quick, online shoppers can browse through the catalogue online or use the search function to find exactly what they need instantly. And to ensure parents find the right product for them, the customer service line is open 7 days a week from 8am to 10pm. Vertbaudet is one of the leading brands in the Redcats Group which also includes La Redoute and Empire Stores. Redcats is a member of the PPR Groups whose brands include Gucci and Yves Saint Laurent. Prima Baby & Pregnancy Fashion Awards 2008 "Best online range"
Rated “Number 1 for Baby and Children’s wear” in an independent survey of mums who shop from home. Prima Baby & Pregnancy Reader Awards 2007 "Editor's Award for style category"
Tommy’s Parent Friendly Awards 2006 – Best Maternity Wear and Best Online / Home Delivery Service – runner-up. For all enquiries please visit http://www.vertbaudet.co.uk or contact VERTBAUDET by phone: 0844 842 0000 - 8am - 10pm, 7 days a week. This press release was distributed by ResponseSource Press Release Wire on behalf of Web Certain in the following categories: Retail & Fashion, for more information visit https://pressreleasewire.responsesource.com/about.